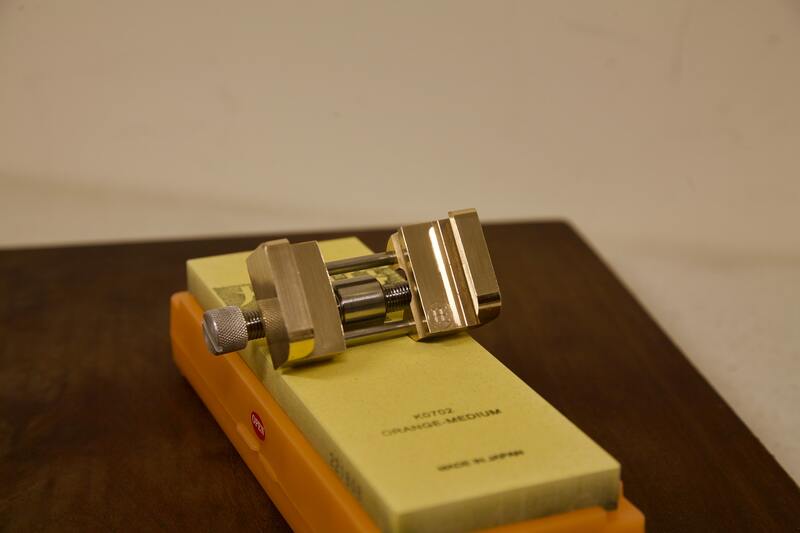 Made in Adelaide, the Henry Eckert Honing Guide is in solid cast white bronze, marine grade stainless steel & brass. It is based on the design principles of the no longer produced Eclipse guide. Many have ‘copied’ this guide but quality and performance has suffered in the process. The HE Honing Guide Mk II is cast in White Bronze. It has CNC machined jaws, matched in pairs. The reference points ensure the blade or chisel you are sharpening is flat on the stone and square to the rolling bearing. The bearing is kept to 12mm to allow weight shifting when honing and hence blade rounding when required. The upper jaws that accept plane blades are ‘dovetailed’ to ensure the blade is pushed down flat and square. Maximum blade width on the top jaws is 80mm, narrowest 35mm. 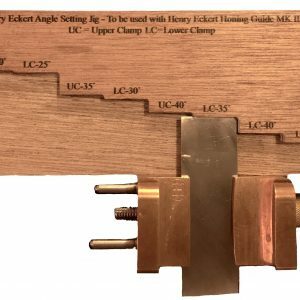 The lower chisel jaws are the same in reverse, that is, on clamping, the small plane blade or chisel is pushed up flat against the jig to keep it straight and square. The lower chisel jaws have a maximum width of 55mm, narrowest 10mm. 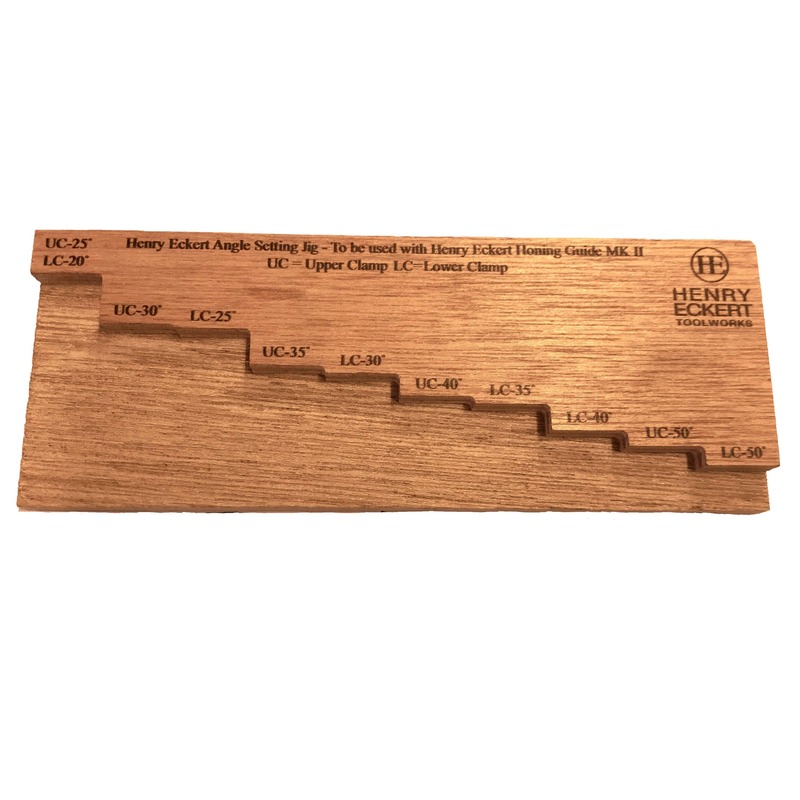 We also have a ‘middle’ clamping position to accommodate thin bench chisels 10mm (3/8″+) to 3mm (1/8″). The tool accommodates all plane blade widths and bench chisel widths. 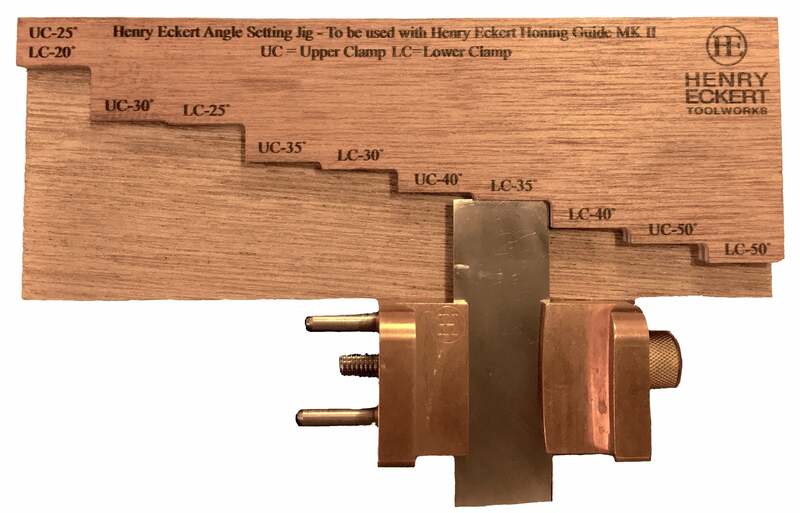 Some mortise chisels can also be held in the honing guide between the flat sections of the jaws. 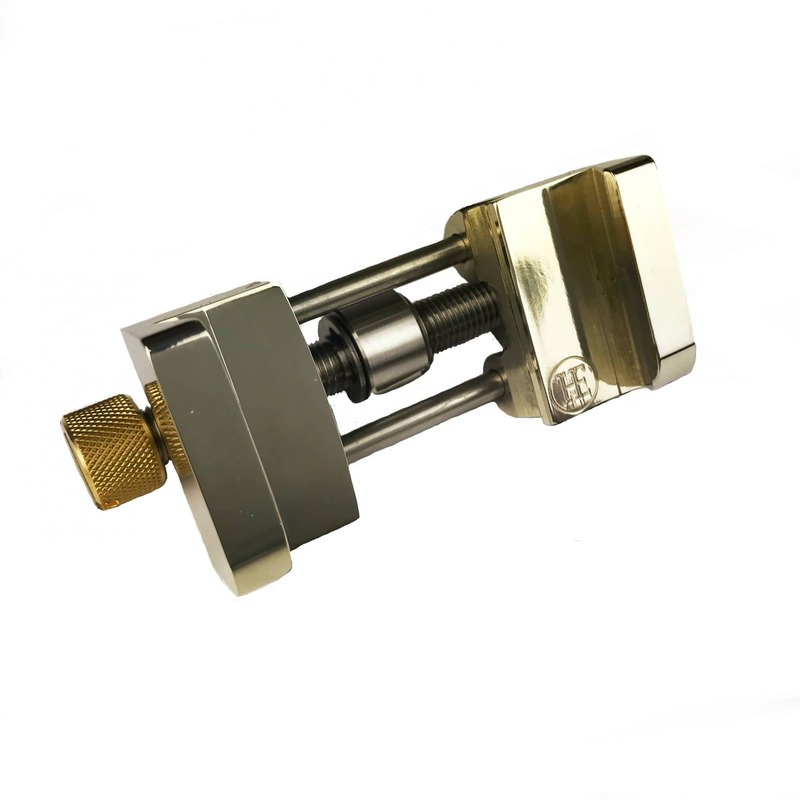 The knurled brass knob is wide giving excellent finger purchase with a screwdriver slot to be used if required. The hand cast process does allow for some casting residual marks on occasions, it doesn’t affect the performance or life of the tool.